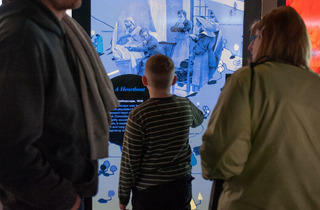 Humanity is defined by its ability to make progress through constant, collective innovation. 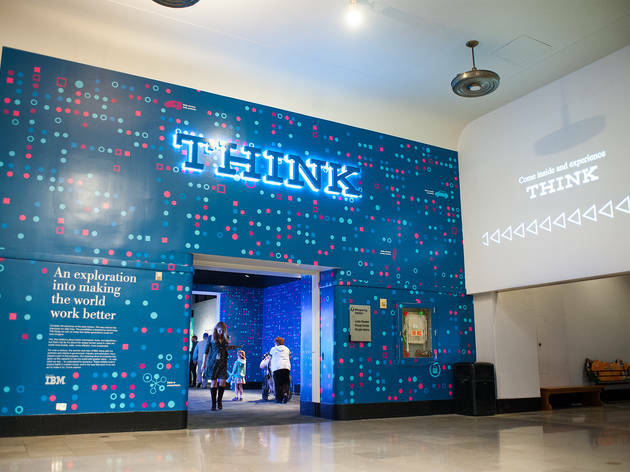 "THINK," a new traveling exhibit that opened at the Museum of Science and Industry this week, seeks to incapsulate the great strides we've made while simultaneously looking toward the future. 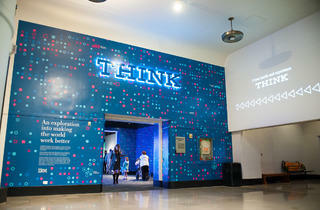 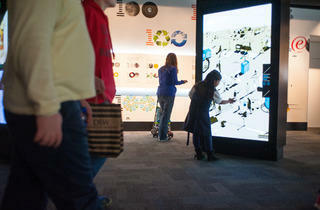 Developed by IBM to celebrate the company's centennial, the exhibit made its public debut at the Lincoln Center in New York and was recently featured at EPCOT in Walt Disney World. 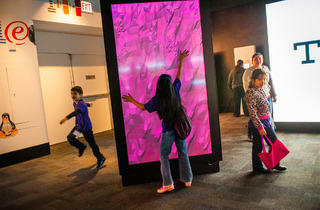 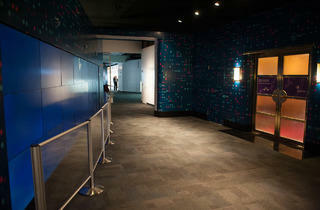 Visitors are greeted by a 40-foot gesture wall which flanks one side of the exhibit's entrance hall. 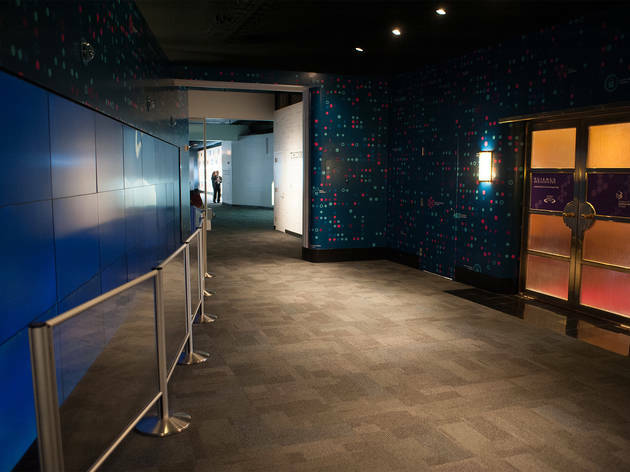 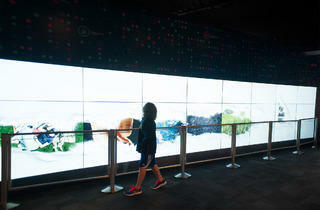 Guests can interact with the screens by simply walking by them, allowing their silhouettes to brush aside a geometric digital curtain to reveal video content. 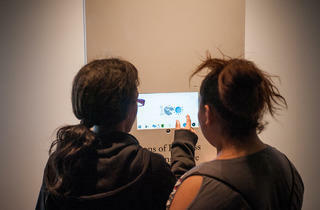 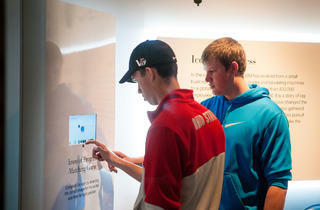 It's just one example of the technology being utilized, which includes several seven-foot-tall touch screens as well as mobile app that supplements the exhibit. 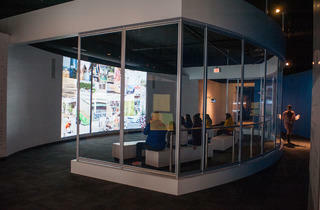 The centerpiece of "THINK" is a 12-minute film that provides a brief survey of how humanity has harnessed technology in the name of progress. A montage of gorgeous footage shows how technological innovations have allowed us to explore space and improve medicine. 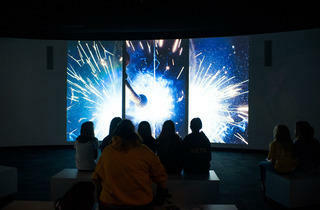 Curiously, the film also includes a short segment that praises genetically modified rice, in spite of recent controversies surrounding the safety of the crop. 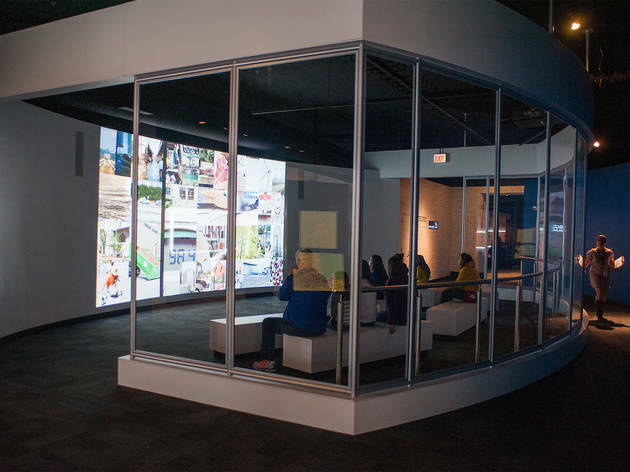 Beyond the screening room, visitors are invited to interact with several monolithic touch screens that explore the themes of the exhibit: seeing, mapping, understanding, believing and acting. 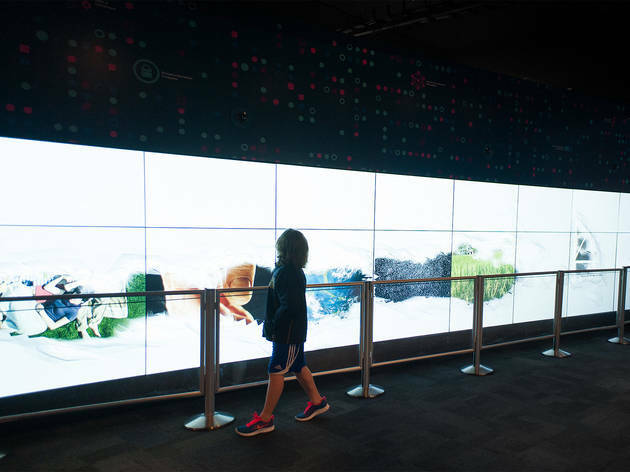 One screen invites users to scroll through an illustrated timeline that shows how the act of measurement has evolved since prehistoric times. 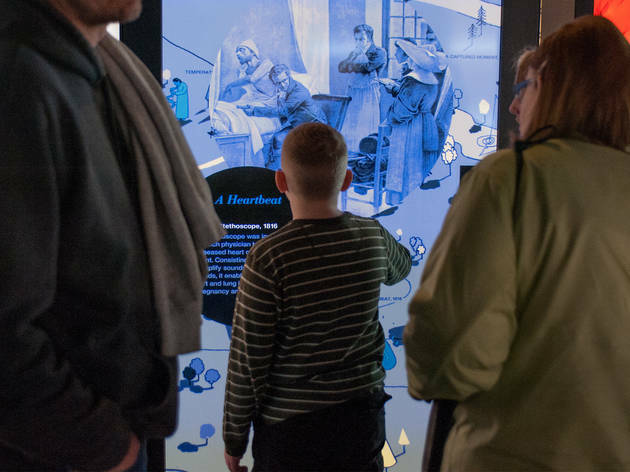 Another shows comparisons between visual data models constructed in the past and the present, contrasting a handmade map of a 1854 cholera outbreak with a map of the 2010 Haiti earthquake that was assembled through the use of social media. 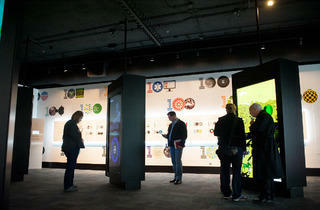 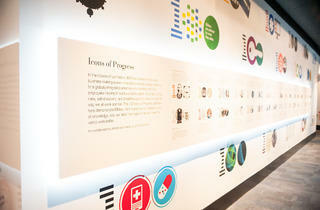 The walls of the exhibit are covered with a timeline that marks the major milestones of IBM's last 100 years, from the invention of the Electric Tabulating Machine in 1889 to the debut of the Watson artificial intelligence computer in 2011. 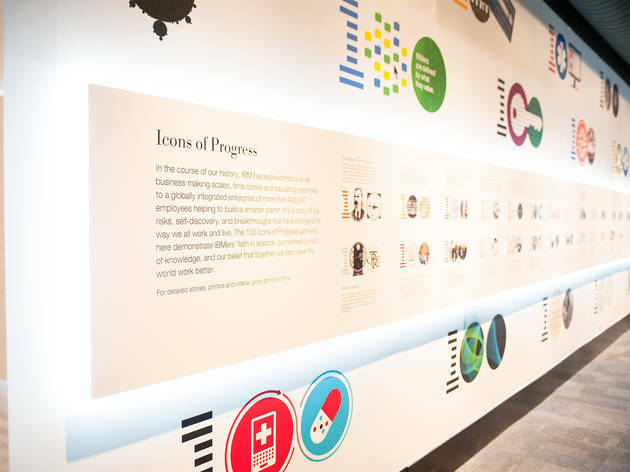 It may come off as self-aggrandizing, but when you see the list of achievements laid out in front of you, there's no denying that IBM has been a technical pioneer. 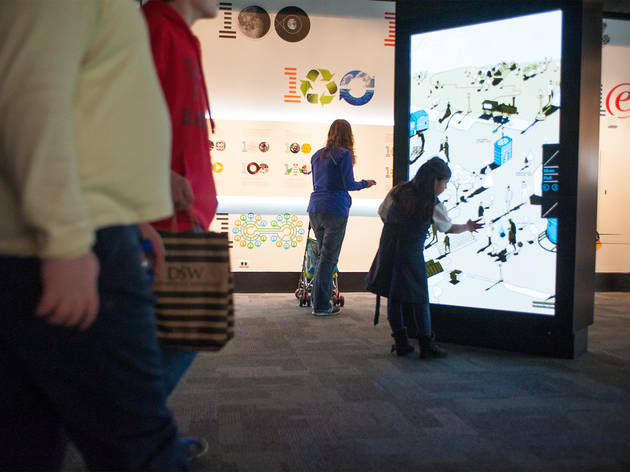 "It is designed for both young children, as well as adults, and offers an aspirational view of how people and technology can improve our daily lives," said IBM executive Duffy Gaynor, describing the exhibit's target audience. 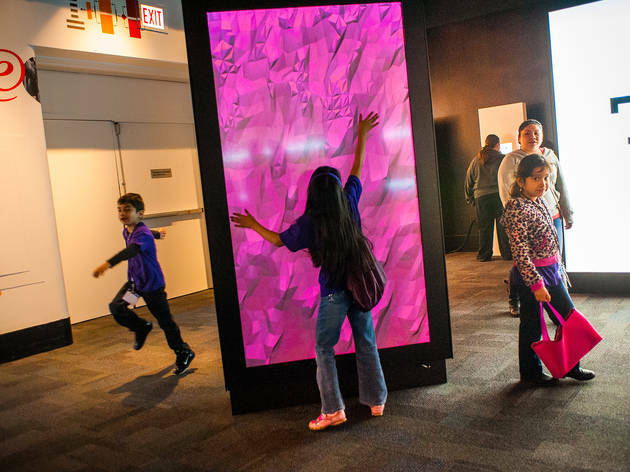 While kids may appreciate the film component, the interactive portions of the exhibit seem far too involved to keep their attention for more than a few minutes. 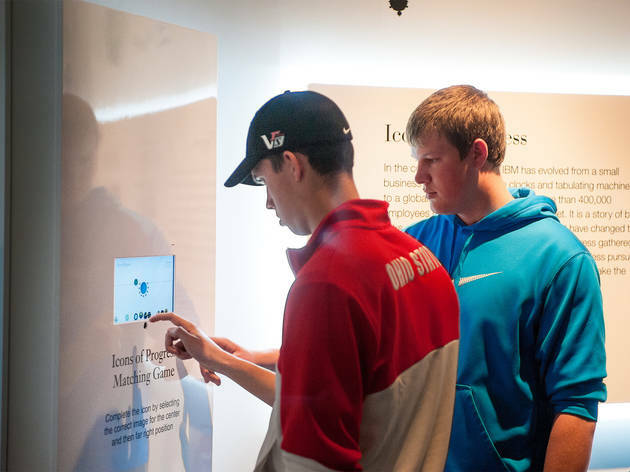 Adults will be able to appreciate more of the information that is presented, but they may not be interested in digging through touch screen menus to do so. 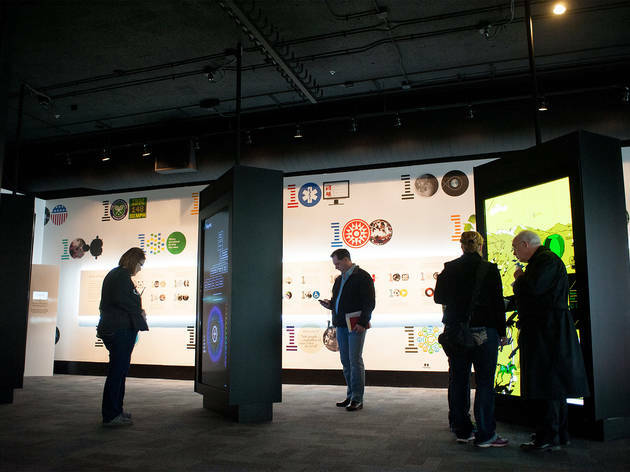 The most grating part of the exhibit is its relentlessly self-congratulatory tone, which applauds humanity's progress and stresses that new innovations are necessary to meet the challenges of the future. 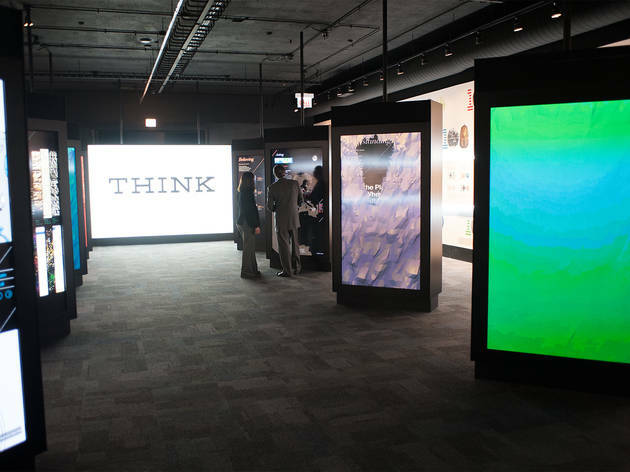 "THINK" conveniently avoids acknowledging the fact that much of today's technology has put our planet in a precarious position. 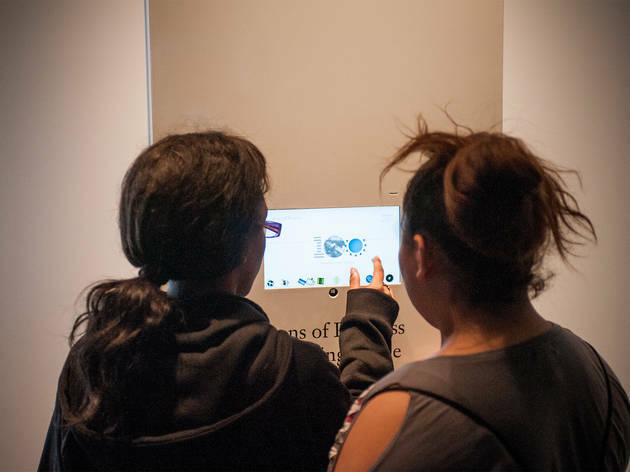 While it's important to get kids thinking about the future, addressing current technological shortcomings is an important part of the conversation. 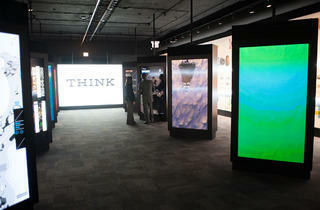 "THINK" aims to inspire, but it's not as forthcoming as it needs to be.